Founded in 1985, Cliff’s Overhead Doorsspecialises in residential, commercial, industrial and agricultural garage door installation. 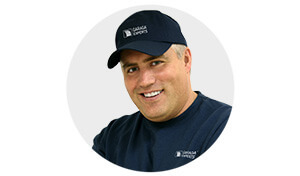 A proud member of the Garaga Expert network of garage door dealers, we’ll do it right, on time, and at a fair price. Garaga brand garage doors are Canada’s leading brand. Garaga provides high quality, energy efficient overhead doors that meet the varied needs of their customers. Garaga garage doors come in a wide range of models and colours to fit any style of home. Cliff’s Overhead Doors team of qualified and experienced garage door installers provides outstanding service and can work within your budget. Come visit us at our showroom located in St. Thomas, ON. We’ll be happy to provide you with all the different specifications of Garaga garage doors and prepare a free estimate for your installation project, including before and after pictures using industry leading software. When making a decision about purchasing and installing a garage door opener, know that Cliff’s Overhead Doors relies on the quality and reliability of the LiftMaster brand. Known for their long-term durability, LiftMaster garage door openers will work when you need them. LiftMaster is the safest and most secure option in today’s garage door opener market. LiftMaster, a member of The Chamberlain Group of companies, has been manufacturing durable and reliable garage door openers for over 40 years. LiftMaster garage door openers are trusted for being the most efficient and cost-effective product on the market. Even more important is the fact that our professionals here at Cliff’s Overhead Doors can attest to our customers’ satisfaction with the safety and long life of the LiftMaster brand. Cliff’s Overhead Doors installs various LiftMaster garage door openers. Models range from smaller residential units to larger garage door operators for commercial use and heavy industry. In southwestern Ontario, homeowners recognize LiftMaster for their innovative technology, durability and reliability, while an increasing number of agricultural producers depend on this robust brand of garage door openers for their demanding applications. Garaga garage doors are Canada’s leading brand, but need to be installed by a trusted garage door professional. Cliff’s Overhead Doors combines over 25 years of experience with a team of garage door installers that do it right, safely and on time. Cliff’s Overhead Doors believes in the value of providing high quality service and offering the best possible products on the market. We can meet your residential, commercial, industrial and agricultural overhead door needs. We are very proud to serve an increasing number of farmers and commercial/industrial customers in Elgin and Middlesex counties. Centrally located in St. Thomas, ON, we provide garage door and garage door opener services throughout the Greater London area and most of Southwestern Ontario, including Aylmer, Elgin County, Strathroy, Ingersoll and Tillsonburg. Visit us at 220 Edward Street in St. Thomas, ON or feel free to contact us by telephone or email to learn about our Garaga and LiftMaster products.